How Japanese airbag-maker Takata handles the recall of 34 million US cars could set a standard for future crises, they said on Twitter. The PR industry isn’t yet judging the comms efforts, or lack thereof, coming from Takata as it deals with its airbag-recall crisis. Rather, many communications experts said on social media that they see the event, the largest auto recall in US history, as a landmark crisis comms case study. 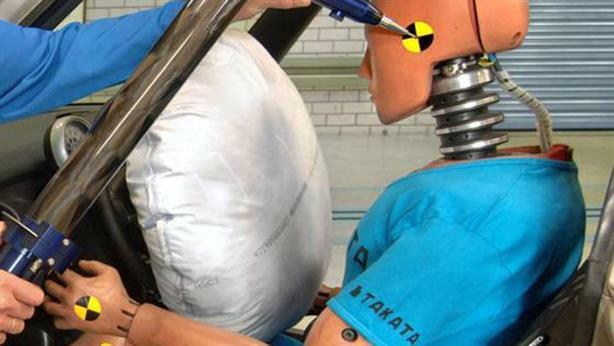 On Tuesday, Takata confirmed that the airbags in roughly 34 million US vehicles are defective. The company has only issued one press release on the matter, in which it agreed to address public-safety concerns from the National Highway Traffic Safety Administration’s investigation of its airbags. In December, Takata brought on Sard Verbinnen for communications support for the recall crisis. To that point, automakers had recalled more than 20 million vehicles around the world since 2008 for defective Takata inflators, which have been linked to five deaths, according to Reuters. A nationwide recall was put off until this week as Takata argued that airbag problems were limited to regions with high humidity. Crisis communicators said on Twitter that they’re keeping a close eye on how the company handles the record-setting recall case. Watching the Takata recall as a case study for #crisis response. All of us in #highered should learn from timeliness/transparency lessons. The #Takata story is really interesting from a #PR perspective vs. GM in '14. Very few customers know the name & if it's in their cars. Politicians also demanded accountability on the issue.